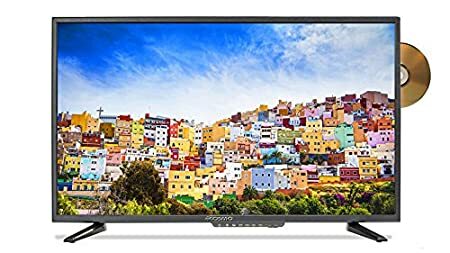 Today I will look at best rated 32inch TV DVD combo units you can buy in 2019. This is one of the most popular sizes of LCD and TFT screen TVs with built-in DVD. As you probably know, when choosing the size of TV (or TV and DVD combination as in our case), you should take into the account the size if the room were the device will be placed. The 32in screen size is a popular size that fits both smaller rooms and entertainment corners of larger living rooms as well as kids’ rooms. When you have decided on the screen size, there are more things to consider, like aspect ratio, resolution, contrast ratio, and several other options. It is an open topic which will be looked at in my next articles. What is Flat Screen 32in TV/DVD Combo? 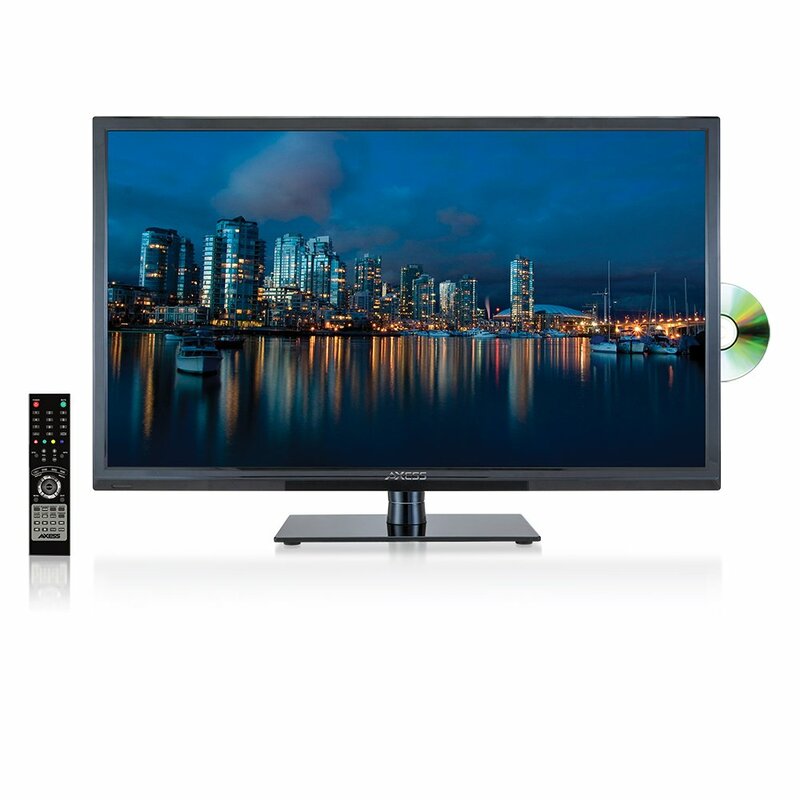 Let’s take a look at a couple of popular LED 32 inch TVs with DVD player. 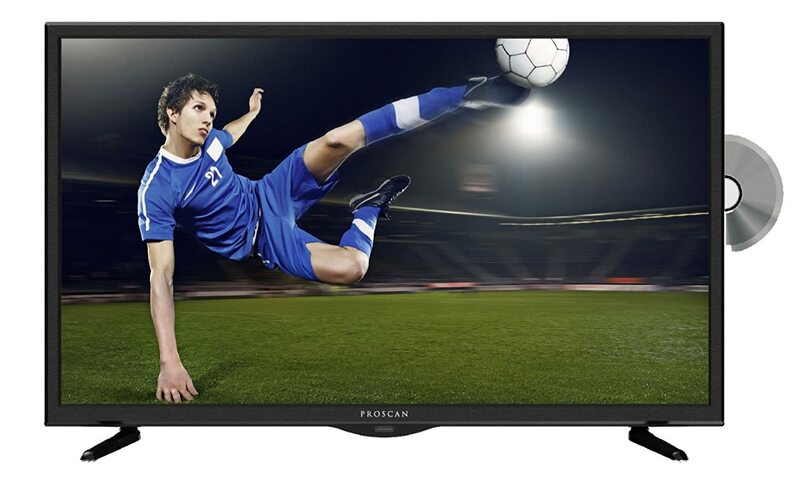 At 32 inches in length and about 18 pounds of weight, Proscan PLDV321300 is a TV that, while large-sized, is easy to move around and to store. Its slim design complements its dimensions, and LED backlight helps to brighten up the display picture. 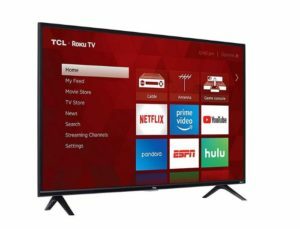 The lack of the Smart Functionality features may be disappointing, but this TV makes up for that by having a massive number of inputs, which includes, but isn’t limited to PC, Coaxial, VGA, RF, etc. It also has an addition of three HDMI ports. The headphones can be used with Proscan PLDV321300 as well to enhance the viewing pleasure with no outside interference. To top it all off, a native 60 Hz refresh rate is genuinely refreshing (pun intended). Axess TVD1801-32 32-inch TV is a sight to behold. Not many TVs can boast doing what this TV can do. At a maximum resolution of 1366×768 and a contrast ratio of 3000:1, one can always expect this model to give off bright radiance in the form of video quality. The speakers are built-in, and they can help reduce unnecessary noise, while other features support decoding the video. It comes with an RF jack for cable, as well as jacks for earphones, Coaxial, PC, and CVBS. As all modern TVs should, it has three HDMI ports and is compatible with USB support. 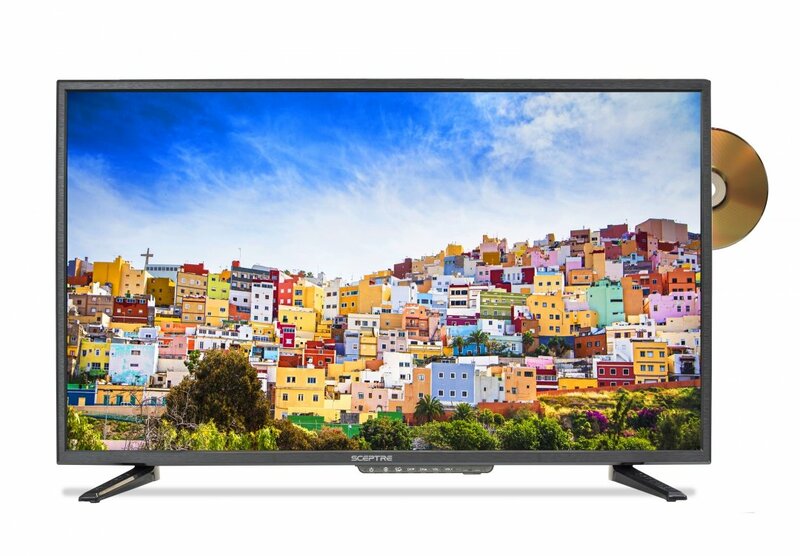 The Sceptre E328BD-SR 32″ TV DVD combo is great for those on a budget. People like that the player does not have a tray that slides out. Instead, you slide the disc in. The fewer number of parts that can malfunction also makes it child-friendly, and many who bought it for their kids agree. One little thing that’s delighted purchasers is that the multimedia player will save a bookmark in the movie when you turn your TV off, and you can resume right where you left off afterward without having to find your spot again. Reviewers are happy with the product, with almost everyone mentioning how great the picture quality is. One person even claimed that the picture is crisper than their other 1080p television, despite the E328BD-SR being in 720p. oCOSMO CE3250V has a sleek and smooth design, which makes its LED structure more charming. 5-band equalizers and improved sound quality give off a crisp quality. Two 10W speakers are built in and help further in providing satisfying audio quality. At 13 pounds of weight and a one-year warranty, both mobility and maintenance are not much of a worry. Its slimness makes it possible to fit the TV about anywhere. It is compatible with TV enhancements, such as a Roku stick so that experienced users can enjoy it even more. 3 HDMI ports with additional MHL and USB ports seal the deal for oCOSMO CE3250V. This Continuus CT-3260DVD 32” LED TV is perfect for those looking for a multi-functioning product that saves space by doing the job of two. It makes the CT-3260DVD great for everything from kid’s rooms to college dorms. This is a 32 inch TV with built-in DVD player of course, for the complete entertainment package. 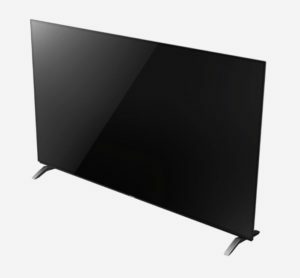 This function works seamlessly with the usual features of a television, for a unique user experience that we recommend. Customers have raved about the gadget, with particular emphasis on how easy it is to set up and use. One customer purchased it for their mother who lives in a nursing home, several others for their young kids. A buyers were wary of the lower price point, but the product managed to pleasantly surprise them, one reviewer even going so far as to buy another as a Christmas present. The Sceptre E325BD-F LED TV comes with a built in DVD player, giving you the complete package in one compact gadget. The only 1080p set here, its slim design means it will fit on almost any wall in your home, whether it be your living room, kitchen or office. The environmentally conscious will be happy to know that the product is ENERGY STAR qualified. 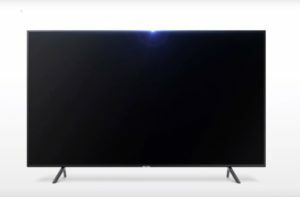 Users are happy with the Sceptre E325BD-F, and most mention the excellent value for money of the TV. Some purchasers lament the exclusion of instructions in the package, but most also say it wasn’t an issue because the TV is so easy and straightforward to set up. The disk player can also be used to play your favorite musical CDs, as many have noted they enjoy doing. Surprisingly there are no Samsung 32 inch TV with built in DVD player models on the market at this moment. I suggest to check out our pick Proscan PLDV321300. Today we have lots of different gadgets at our disposal for building our home entertainment systems. This choice brings a new kind of problem. The modern time’s challenge is finding space for all our devices. It is why the TV and DVD combo has been invented. It started several years ago with tube-type TV and VHS combo. The next evolution was tube-type television and DVD combo, and now the latest trend is flat screen TV with built-in DVD player combo. Many favorite TVDVD player combo models are supplied by well-known manufacturers such as Sharp, Panasonic, Haier, Insignia, and lesser known manufacturers like Sansui and Magnavox. The economy of space. We have already touched the first advantage a bit. If you chose the combo unit, you have only one device. Fewer boxes, less worry about proper placing them, let alone finding a place for them. More straightforward management of combo device and less clutter. You have only one remote control! Gone are the days when you had to dig thru the room looking for the DVD player remote. Less wiring between units. Wires now are one of the most often sources of clutter in our rooms. If you have a separate multimedia disk player and a television, you have two power cables and at least one signal cable between both units. That is 3 cables! When you have a combo unit, there is only one cable – power cable of combo unit! The total number of wires – One! Of course, most of the combo models are equipped with input and output jacks for connecting game console or another source of the signal, for example, blu-ray player or even VHS player. 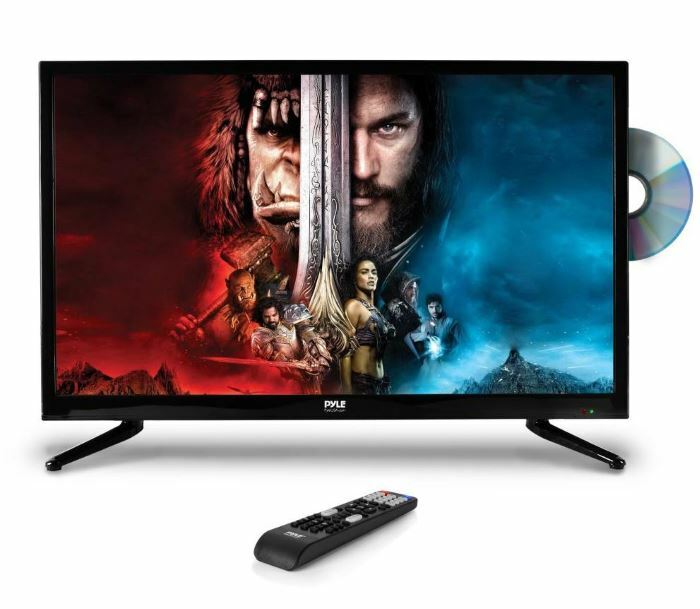 Now lets take a look at popular models of 32 TV DVD combi that are not available anymore. As far as a generic TV goes, at first sight, it doesn’t get more generic than JVC LT-32DE73. However, its built-in player begs to differ, introducing a world of uniqueness that is not found in other normal television sets. It has HDMI inputs and LED backlight, both admirable qualities of modern TVs. It has a very slim design of 32 inches in length, with about 16 pounds of mass, giving it weight behind its sturdiness. Its video quality is worthy of many compliments, mainly due to its contrast control qualities. Its sound quality is not left behind either, as it is backed up by the digital audio output of both Coaxial and USB. The RCA 32-Inch Combo is the epitome of high-quality television. At about 16 pounds, it is heavier compared to modern televisions, but the inclusion of the disk player comparably makes the RCA 32-Inch Combo more resourceful than its competition. HD is the name of the game for this machine, exemplified by its top-notch video display. The disk player lets it play all kinds of DVDs, with MTS/ SAP stereo system, putting forward a fantastic combination of usability and enjoyment. It has a sleep timer, along with parental features that make it a family-friendly device. It has various inputs (HDMI, USB, MPG, etc.) and a digital audio output. You may think that it is hard to find HDTV in white. Not anymore. Sceptre E325 Color Series TVs are available not only in white, but also in pink, purple, gold, blue, and black. 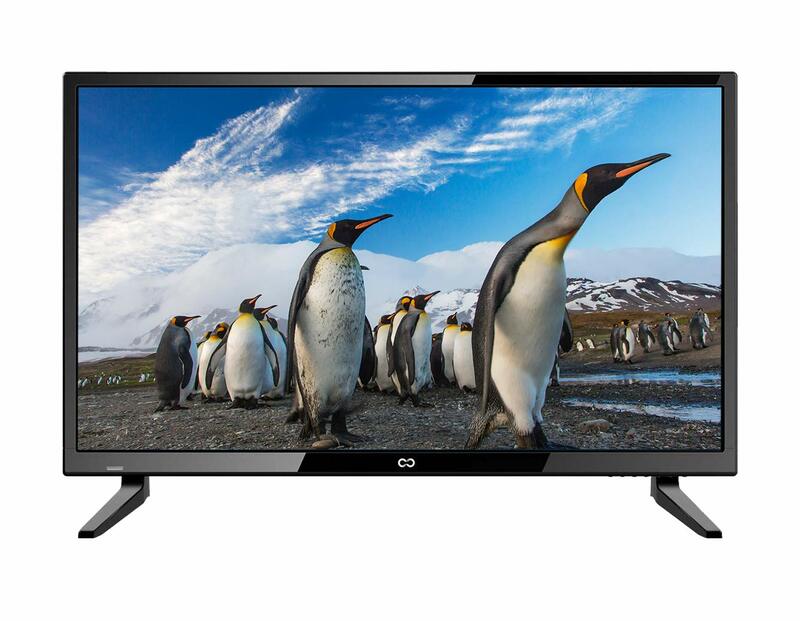 32MD304V2/F7 was one of the cheapest units of 32″ devices reviewed here. People who have bought this Magnavox device like easy setup of this device and excellent sound and picture quality. This television has a built-in DVD player so that you can maximizing your viewing experience. 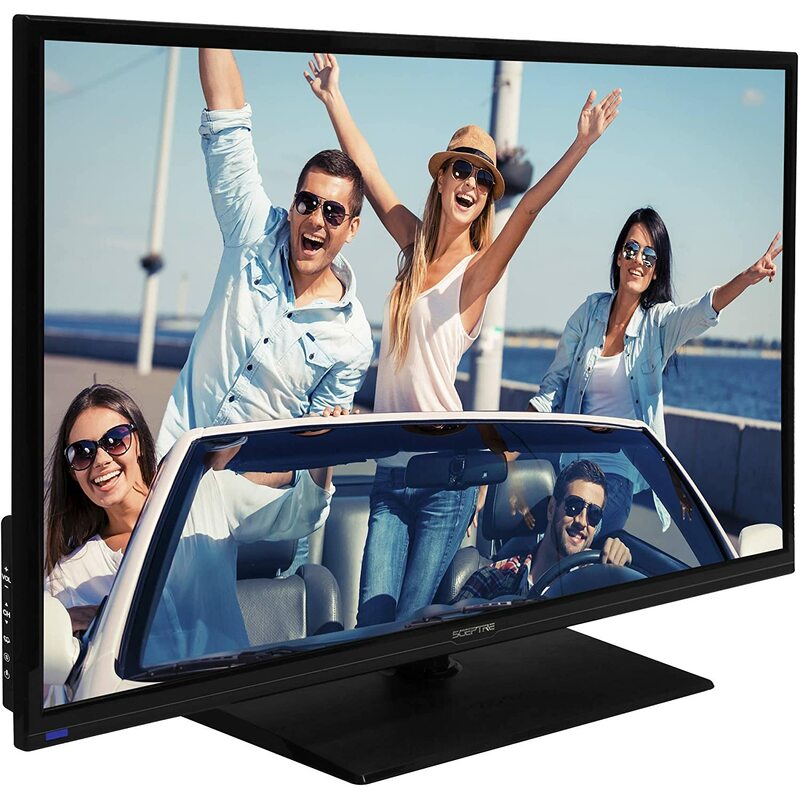 Get incredible picture quality, and fantastic sound surrounds with the Magnavox 32MD359B/F7 TV. You can now enjoy watching your shows and even your DVDs in this Magnovax 32MD350B/F7 32-Inch HDTV that features an integrated disk player. Your viewing is never going to be the same again. It has a rich color display with amazing sound surround and several more features that allow you to control the programs kids can watch on your TV.